Are the healing powers of the Ganga a matter of blind faith or science? The water appears to have the ability to kill harmful bacteria, writes Sudipta Sen in a new book on the pasts and present of the Ganga river. Indian mythology is replete with stories about the miraculous healing properties of Ganga water, which gave cripples and lepers glimpses of hope, if not in this life, then certainly the next. A report for the Epidemiological Society of London noted that during the late nineteenth century, lepers were thrown into the river in the hope that their bodies, even in death, would be scrupulously cleaned of the contagion. In one of the many legends surrounding the famous weaver, songwriter, and mystic Kabir recorded in the Sikh sacred text of the Adi Granth, Kabir’s son Kamal met a man with leprosy about to drown himself in the River Ganga. 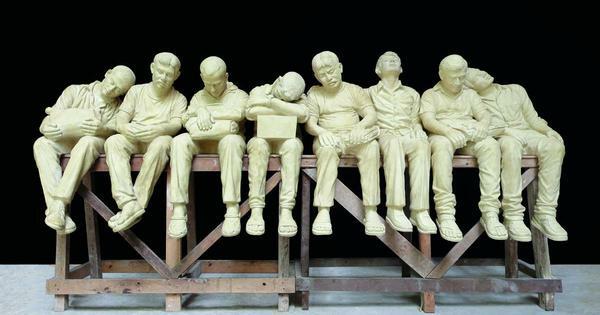 Kamal asked him to desist from this act. He then took some Ganga water into his palm, blew on it, and sprinkled it on the leper. Within an instant the disease disappeared. The cured man rewarded Kamal handsomely for this miracle. Kabir admonished his son for falling prey to the lure of wealth. Faith in such miraculous powers of Ganga water spread across many distant parts of India. In the legend of King Rai Mandlik of Girnar, Gujarat, a man named Vijnal had leprosy. He was a friend of the king, but he could not bear this state. He became a fugitive, hiding from the king, waiting to die. The king, meanwhile, set off in pursuit. On this journey, while encamped near a small rivulet, the king met a man who was carrying Ganga water from the east. The king had had no time to bathe. Seeing the water-bearer, he grabbed the pitcher and poured the waters over his clothes. When he finally caught up with his friend the leper, he embraced him. And again, without fail, the leprosy disappeared from his body in the blink of an eye. Such stories abound across India, the plot invoking a millennial familiarity. Missionaries found it difficult to dissuade devout Hindus from flocking to crowded pilgrimages, which they saw as corrupt, heathen, and unenlightened. Harold Begbie, in his missionary tracts, expressed his staggering disbelief in the fact that Hindus “literally” took the Ganga to be clean. Hindus regarded their pilgrimage “not as a sacrament but as a cure”. Begbie’s puzzlement reinforces my point, that is, that the true supplicants believed that Ganga water was endowed with a potency that could remove both their physical ills and moral failings. 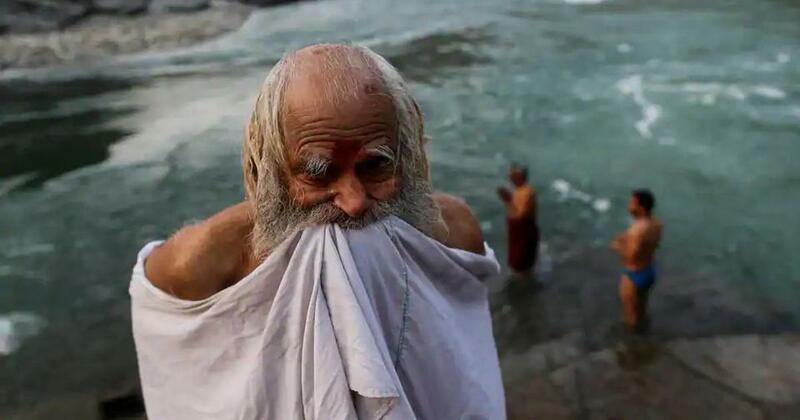 The reputation of the purity of Ganga water made it a much-sought after substance in all temple rituals of cleansing and oblation. It is said that at the fabled temple of Somnath constructed by the Solanki Dynasty of Gujarat, the idol of Shiva in the form of the Lord of the Moon – if Al Biruni’s account in the Tarikh al-Hind is to be believed – was washed daily with urns of Ganga water brought in from hundreds of miles away. The water of the Ganga was famous for its taste and lasting qualities. When Muhammad ibn-Tughluq decided to move his capital from Delhi to Deogir across the Vindhyas, Ganga water was procured for him every day; it took forty days to bring the water from the valley of the north. Mughal emperor Akbar drank only Ganga water; he did not like the taste of well water. Akbar extolled the purity and taste of Ganga water, calling it the source of life (ab-i-hayat). At home and during his many travels and campaigns, Akbar had Ganga water delivered sealed in jars from Saran, the city on the Ganga nearest to Agra, his capital. Only the most trustworthy retainers were sent to procure Ganga water from the banks of the river. European trading companies that frequented the Indian Ocean littoral through the sixteenth and seventeenth centuries valued the taste and purity of Ganga water. Joannes de Laet, director of the Dutch East India Company, in his description of India during the reign of Jahangir extolled the virtue of Ganga water as a most pleasant staple. English traders of the early East India Company found that Ganga water lasted for over a month during the transcontinental voyage, whereas water from near the docks in the home country spoiled in a matter of days. Sir Edmund Hillary, the conqueror of Mount Everest and indefatigable traveler, recounting the long history of Ganga water used for overseas travel, marvelled at the fact that it “keeps fresh and unspoiled indefinitely in its container, whereas water from any other river becomes tainted and unpleasant.” European inhabitants of Calcutta built reservoirs to store waters from the river all year around. In the late nineteenth century, British scientists and hydrologists became intrigued by the fact that Ganga water did not go bad, even after long periods of storage, contrary to the water of other rivers in which a mounting lack of oxygen quickly promoted the growth of anaerobic bacteria. In 1896, the British physician E Hanbury Hankin wrote in the French journal Annales de l’Institut Pasteur that cholera microbes that had a life of forty-eight hours in distilled water died within three hours in Ganga water. Dr Hankin, a government analyst of the United Provinces of British India posted in Agra, had become interested in the Hindu custom of depositing their dead in the river. Fearing reprisal from devout Hindus, the British government found it impracticable to interfere with such unsalutary practice, even during the frequent epidemics of cholera, plague, and other diseases. Hankin was able to secure corpses of cholera victims in the river and isolated samples of Ganga water with a large concentration of the bacillus E coli. Much to his astonishment, he found that after six hours the microbes had completely disappeared. Hankin concluded that the water of the Ganga and Yamuna Rivers in India was “energetically bactericidal” in general and particularly destructive of the cholera vibrio. Hankin attributed this to volatile acids present in the water, but the Frenchman Felix d’Herelle suggested that the disinfection was probably due to the presence of a bacteriophage. Another British physician, CE Nelson, observed that Ganga water taken from the Hugli in Calcutta, one of its “filthiest” mouths, by ships travelling back to England remained fresh throughout the voyage. D’Herelle was amazed to find that only a few feet below the corpses of people who had died of dysentery and cholera that were floating in the Ganga, the waters were free of any form of contagion. Water analysts, soil chemists, and environmental scientists are still debating whether Ganga water can destroy E coli and other harmful bacteria. Many reasons are given for this potential. Some scientists have pointed out the effect of long exposure of the water surface to ultraviolet radiation. One plausible explanation, studied in great detail by the eminent Indian hydrologist Devendra Bhargava, is that the Ganga has chemical and biological properties that help the river rapidly absorb prodigious quantities of organic waste. It seems to be able to reoxygenate itself almost miraculously. Author Julian Hollick, who has pursued this question with many Indian scientists, is convinced that the purifying qualities of the Ganga are due to the large concentration of the bacteriophage virus that is present in superabundance by the mud banks of the river and in shallow pools, and the virus is activated as soon as bacterial concentration reaches a certain threshold. The bacteria-killing properties of the phage virus have been scientifically proven. However, exactly how the virus is related to the decontamination of Ganga water is a matter that has not been settled among researchers. There is still no clear explanation of the fact that festivals such as the Kumbh and Kartik Purnima, in which more than sixteen million people indulge in communal bathing on the Ganga, have seldom resulted in a pandemic or widespread outbreak. The Sankat Mochan Foundation laboratories in Varanasi report E coli levels at a level exponentially higher than that considered safe by the World Health Organization (WHO). And yet again, bacteria seem to disappear after such major concentration in a matter of hours and not days. 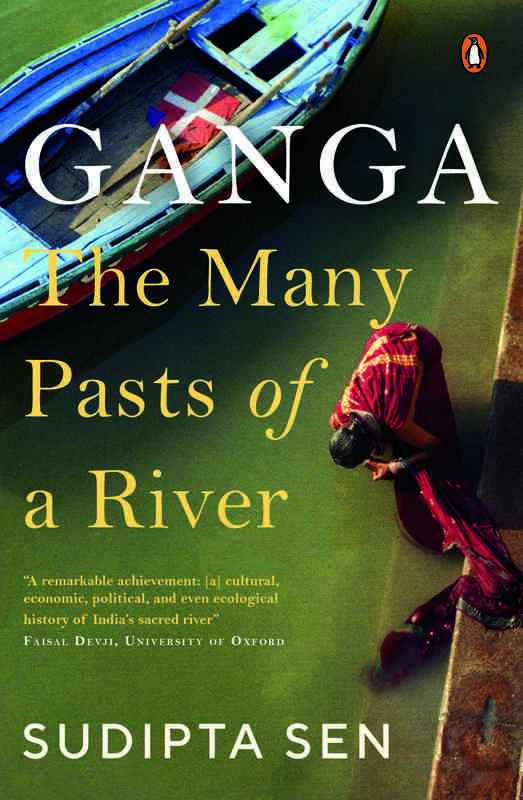 Excerpted with permission from Ganga: The Many Pasts Of A River, Sudipta Sen, Penguin Books.